This week is a special edition of “Friday Favorites” It’s technically tomorrow BUT I want to take the opportunity to say Happy One Year Anniversary to my absolute (not just on Friday) favorite, Mike. 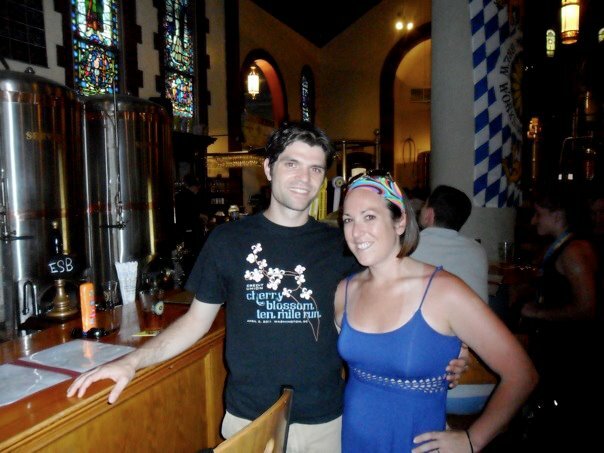 Technically we went on our first date on July 28, 2011 (shut up I’m just good with dates!) but we only had two dates before we were both traveling for three weeks so we decided we would start counting after that three week hiatus (we got stranded on the runway for almost 4 hours flying back from Nashville in the spring and so we ended up having an in depth discussion about this because there was really nothing else to do… my Kindle died!). My feelings about this date are sort of contradictory. One one hand, this past year has absolutely flown by. I can’t believe it has been a whole year. But on the other hand, I feel like I can’t even remember what my life was like before Mike. He feels like such a natural part of my life and we are so close, I feel like we have known each other forever. I wouldn’t consider myself someone who has been extremely “lucky in love” up until this point, and I spent the majority of my adult life single, which most days was really fine. I developed wonderful friendships and never ever lacked for wonderful life experiences. I always prided myself on the ability to get through the tough stuff in life on my own. I depended on me. But for the first time in my entire life, I feel like I have a partner and it is better than I could have ever imagined. 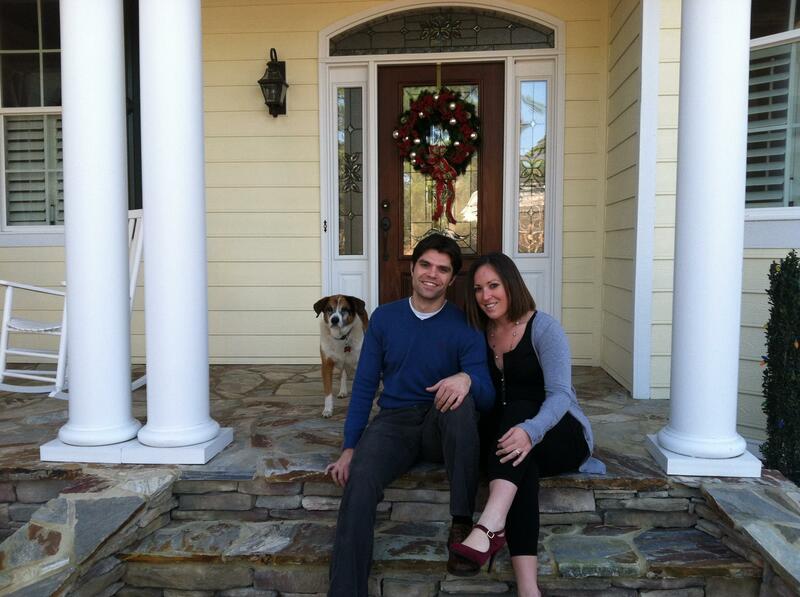 This year has come with it’s challenges and having Mike by my side eased the burden so much. 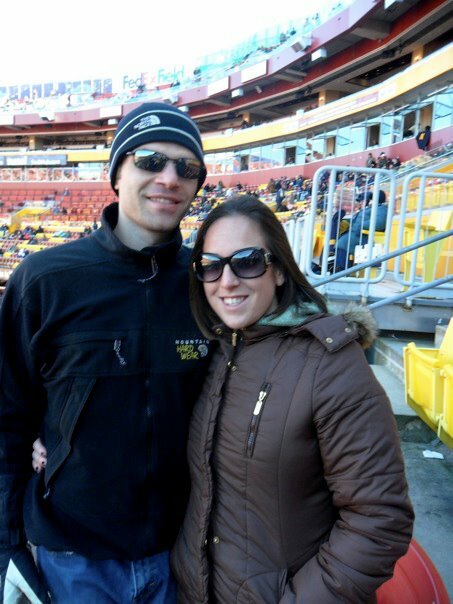 He was there when a knee injury sidelined me from running for almost two months, when things at work got really rough, and when my mom had a pretty significant health scare. 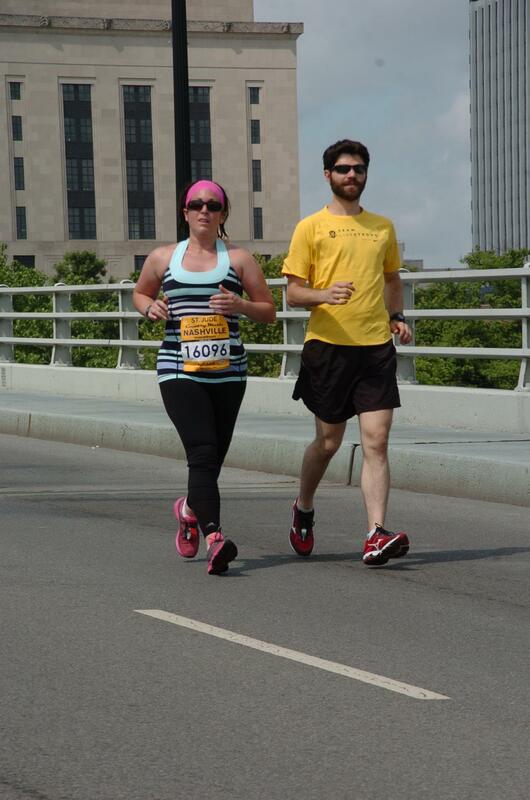 However, this year has also seen unthinkable highs, including having him there as I crossed the finish line of my first marathon, a goal I would’ve never dreamed of setting if he hadn’t encouraged me. But besides all the mushy gushy stuff… Mike and I HAVE FUN when we’re together. We are always running around (pun intended) racing, traveling, laughing, and exploring together. So below are some of my favorite pictures of us from the last year. 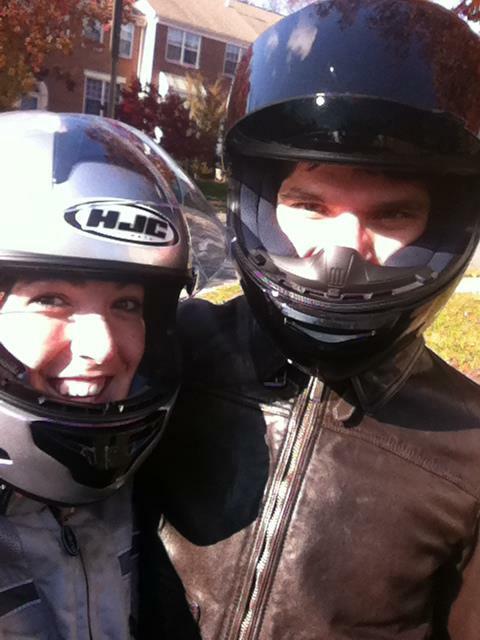 Before going to Richmond together for Mike’s second marathon in November 2011, he fulfilled a lifelong goal of mine and took me for a ride on his motorcycle 🙂 He even bought an extra helmet so I could ride! Ugly sweater party before Christmas 2011 in DC. We went to a vintage shop to buy these the day of the party and the pickings were pretty slim. 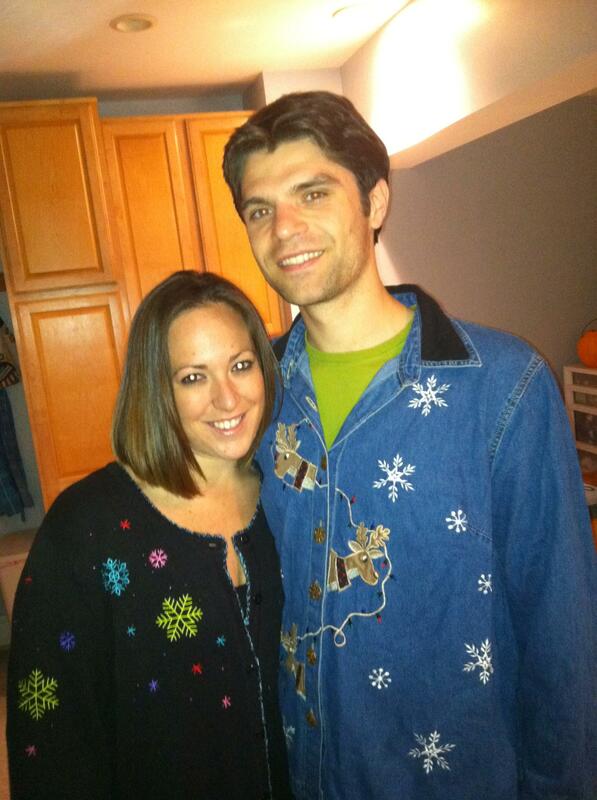 Mike’s shirt is actually a plus sized women’s denim blouse with reindeer heads on it… WINNER. Mike came down to visit my family the day after Christmas and after a couple days we went back to Charlottesville to stay with his family. My mom and dad took this right before we left and my friend Sarah told me it looked like our Christmas card (especially with Bernie in the background. He wasn’t posing he’s just old and slightly senile so he didn’t know what was happening). 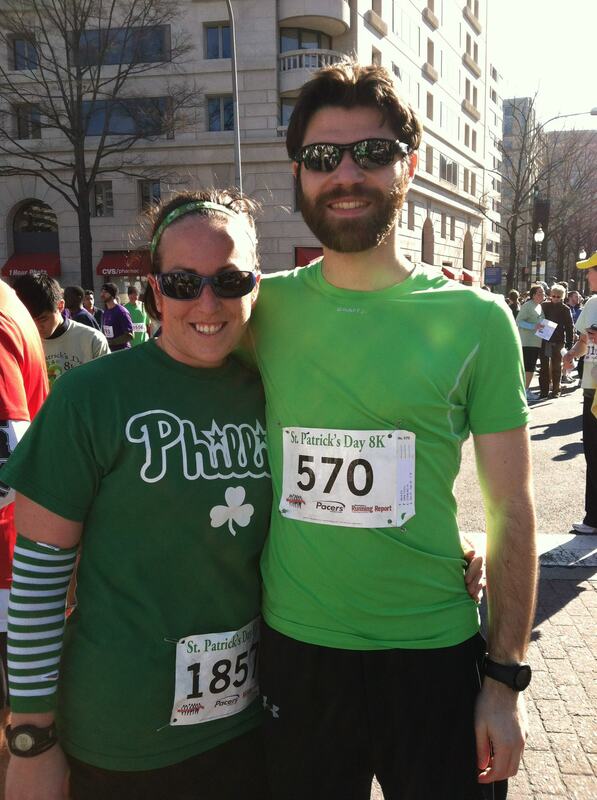 Our very first race together – The St. Patty’s Day 8K in March 2012. We were both registered to run the Hot Chocolate 15K in December but my physical therapist said I couldn’t run yet 😦 After a long winter (where Mike grew an awesome lumberjack beard), I was finally back in the game! And we didn’t stop there. 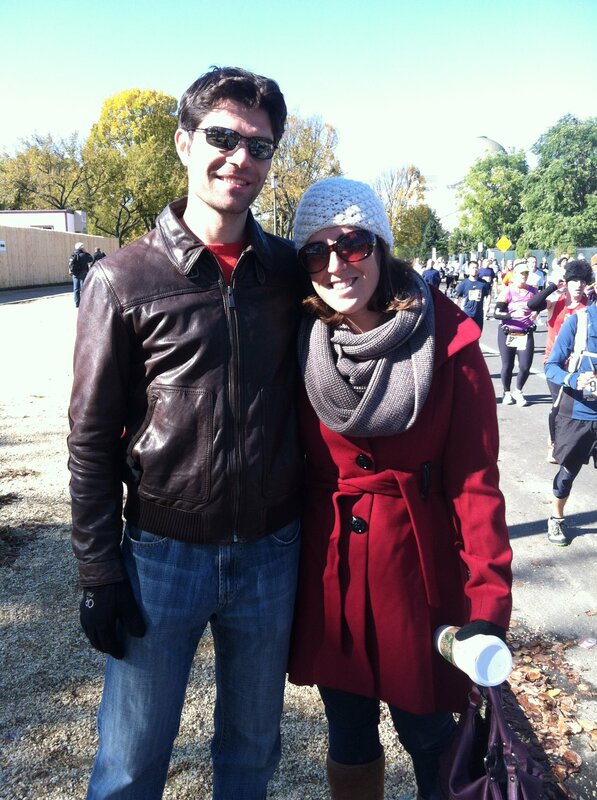 Mike and I both ran 12 races this past spring season. 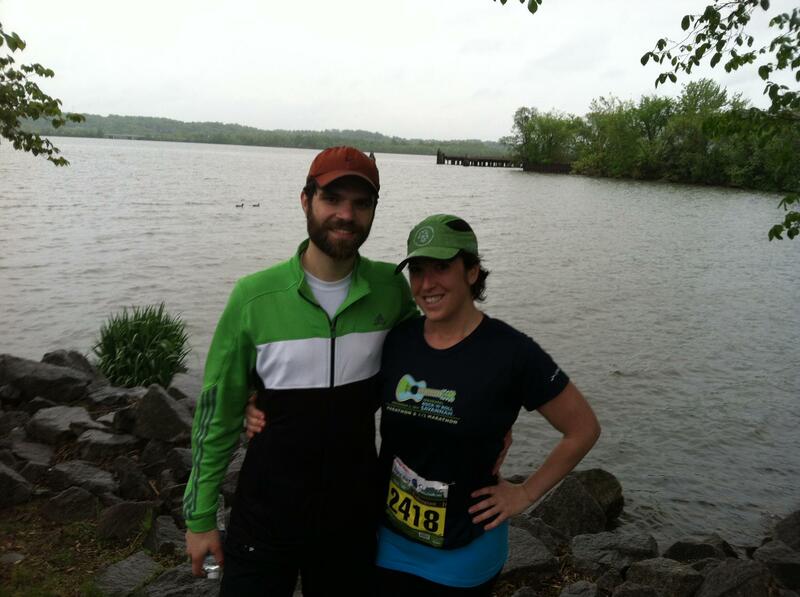 This picture was taken after the Cherry Blossom 10 Miler in April 2012 (we also ran the Charlottesville 10 Miler the day before!) I knew he was a keeper! 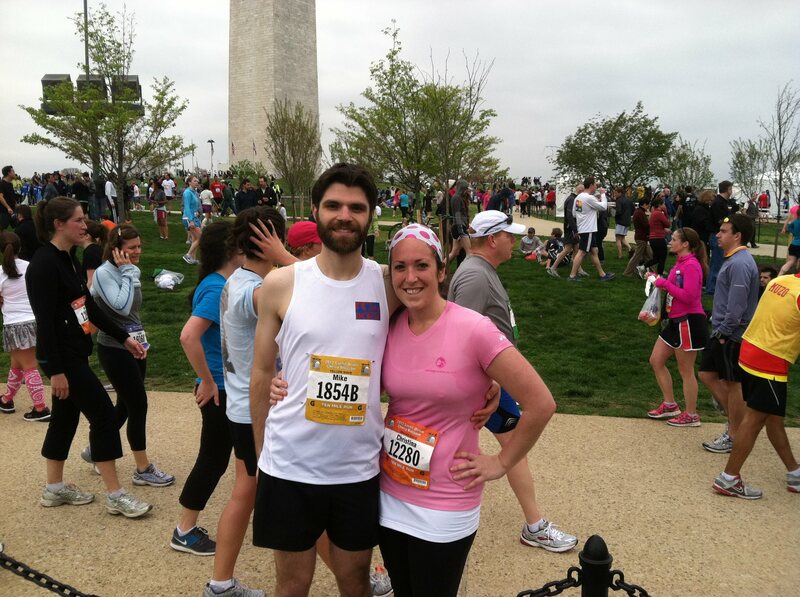 At the finish of the George Washington Parkway 10 Miler in April 2012. 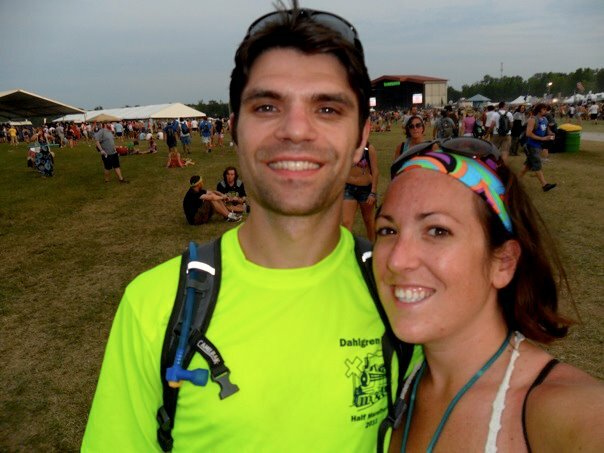 BONNAROOOOOOOOOO. Something we both said we never would’ve thought of doing on our own! 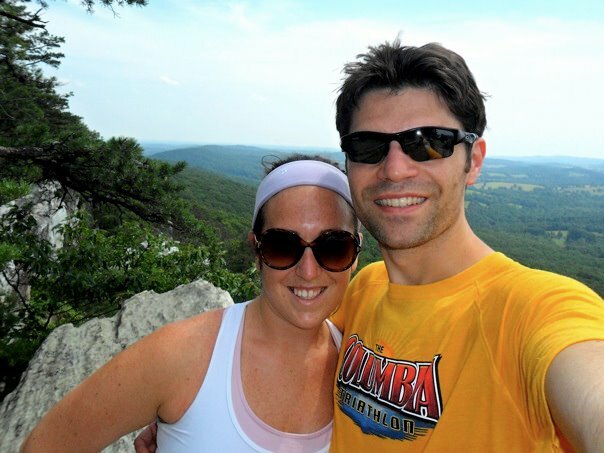 And finally in July 2012, we hiked up Bull Run Mountain on a beautiful summer afternoon. That’s one of the things I love most about Mike… he is up for any activity any time!